Been following all your posts with great excitement! Thank you so much for not giving up on the fantastic 7D and trying to move forward with Digic IV cameras. 1) I found only the mlv_rec.mo (RAW video (MLV)) in the modules directory. MLV_Lite.mo is missing. 2) Crop preview at all preview modes provides 5x and not 3x magnification. 3) Once started, recording at all 3 bit depths does not stop upon pressing the rec button. You get a red dot and a "stopping" message in the RAW video (MLV) menu and camera freezes. Turning camera off and pulling battery out resolves the issue. 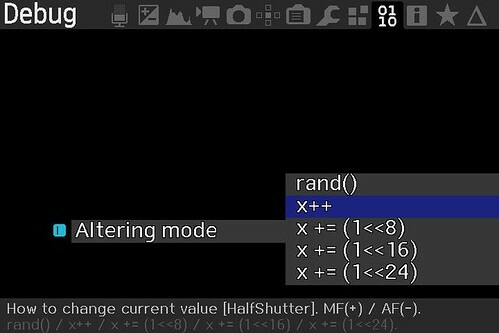 4) In-camera playback does not work any more, not even after adding the raw_twk module. 5) Every mlv file gets recorded with 7 additional M00 through M07 files of 1 kB size each. MLVApp does open and play the files though. Sound works also. Hoping that some of the other developers may be able to help you with useful hints, I keep my thumbs pressed for further progress on your part. Looks like it is one step forward and two steps back. Main thing I'd like to find out is if the crop_rec module is working on the build I posted for the 5D2. Anyone? The 7D has many issues. If I leave the battery in it overnight it wakes up dead--what I mean is that the battery drains even when the camera is turned off. I think this was reported before. It works partially but in fact, worse than your March 2-nd build which works very well with all 3 bit depths with sound. The March 2 build is strictly raw_video_10bit_12bit_LVState so if that's working nicely we should probably talk about how to integrate it into the main repository but let's continue with that topic on the 12-bit (and 10-bit) RAW video development discussion. Right -- mlv_lite on the crop_rec_4k branch works with lossless compression so it won't even compile for Digic IV on my experimental branch. 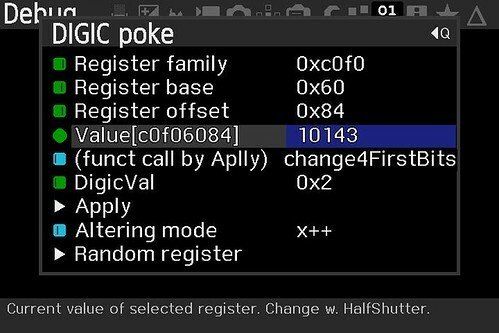 We're a ways off from getting that working on Digic 4. In the meantime most reports indicate that mlv_rec is working better than mlv_lite on Digic IV. Not sure what you mean by that. Maybe some pictures or video will help show the issue? I do have an issue when going into zoom mode I can't get out of it. Hey, this is highly experimental but I was able to record 233 frames of 2496x1198 10-bit at 24fps on the 7D. Ok--not the most exciting shot but it does work over here. Again--can't reproduce that issue over here. I never played around much with in-camera playback. @reddeercity's - do you have that working on the 5D2? Strange, I'm not seeing that either. What happens with mlv_rec is that it often leaves an MLV_REC.TMP file on the card but it doesn't seem to have any negative consequences. That's why I'm posting on this topic. I'd like to get the crop_rec module working on the 7D (probably hard) and the 50D (probably easier) and maybe other Digic IV cameras. It seems to freeze when in 3X mode and also have black lines vertical in the frame. I don't think I can experiments in the next days, but will follow and try something if possible. Is the new branch cleaner compared to what you posted yesterday? I mean only strictly necessaries (apart lua_fix which is easy to see) to understand difference between crop_rec_4k and 10-12 branch. Can you make a "fake PR" to your bitbucket to evidence the difference with the main repository? I need firstly understand what was changed with the code from Waza57 to make 5d2 works (I saw some commit which "revert" some previous one) and then start investigating on 50D (just " nearly standard" resolution because I'm stuck with incrementing heigth). Regarding compilation of ml_lite due to lossless.. can't remember if by adding the non definitive changes posted in lossless thread, will allow us to record raw videos... I was trying with silent pictures mainly. This was not the case with the March 02-nd build. No battery drain here even after I left the battery for two weeks in the camera. Will check tonight if the battery gets drained with the March 22 build. I mean that there is still no WySiWyG preview on today's build. What you see on the screen while recording corresponds to 5x magnification while in fact the image is recorded at the correct 3x magnification. 5x-magnification does not allow for correct framing when you move the camera during recording. Probably we have different camera settings. Will keep testing tomorrow. When I revert back to the March 02 build, recording is perfectly fine and stops nicely when I press the record button. By the way, at 2496x1198 10-bit and 24fps, with the March 02 build, I get continuous recording on the 7D. Please try that build again and compare it with today's one! Please try the raw_twk.mo on your March 02 build. Just add it to the Modules directory and activate it in the Modules menu. It plays back all recorded files nicely in camera after they have been recorded. Very useful! The MLV_REC.TMP always gets recorded on an empty card, no question about that. I am talking about these 7 files (M00 through M07) short files that get recorded with every MLV file too. Can anyone help with this, please? We badly need some help here and every hint that could guide us in the right direction will be greatly appreciated. Now on the 5D2 I'm interested if the crop_rec module is working, it is from waza57's crop_rec_4k_5D2 branch. If it does work it would be interesting to see if reddeercity's crop_rec module works in this build. And then, randomly, it now gives me a Raw Detect error again and I can get it to record again. 1920 1:1 works fine, with accurate framing until you press record. 12 bit has slightly incorrect black level, green tinted shadows. Generally this build runs a little slow - the UI is slightly unresponsive here and there. If it does work it would be interesting to see if reddeercity's crop_rec module works in this build. It does. And much better. Adding the crop_rec module from reddeercity's magiclantern-crop_rec-3k-1080p-5D2-eXperimental.2019Feb01.5D2212 to magiclantern-crop_rec_4k_mlv_snd_experiments_waza57.2019Mar21.5D2212 works like a charm. Max resolution in crop_rec 3.5k 5x mode is 3008 x 1080. All bit depths work. Will keep messing around a little more. Sound Recording works, but after stopping recording the camera is stuck at "Stopping" for a long time - requires a restart but no battery pull necessary. Is there a raw_twk module I could be trying on 5d2? MLV_PLAY hasn't worked for a long time with any of these 3k 5x builds, and the raw_twk I tried adding just gave me an oldAPI error. Ok--good to hear that reddeercity's crop_rec is working better. All hail to the 5D2 guru! Merged in the unpublished reddeercity code which bumped everything up to a more current code base. This means that the lossless compression in mlv_play and some other places will be a problem until lossless is working on Digic IV cameras. Note that raw_twk does compile but I'm not sure what good it will do without mlv_play. Maybe start mixing and matching modules from other builds? This time my camera did reproduce the issue where it wouldn't stop. Found a temporary fix for that. Good idea, I was thinking about that myself. Here's a fake pull request that shows the changes between my latest experimental branch and the crop_rec_4k_mlv_snd branch. Looks like lots of extra stuff that could probably be eliminated though it would still be huge and most likely not acceptable to merge into the main repository. Test builds on my downloads page. As you can see from the fake pull request, it is getting complicated. The cleanest by far is the stuff I did on the raw_video_10bit_12bit_LVState branch but even there a PR with my changes to get the 7D working probably won't cut the mustard. Well it looks like I'm being pushed off my thread. I'll be finishing of the crop_rec in "crop_rec_4k_5D2" branch , Sorry it others disagree . If there too many branches nothing will get done , so I will only help with development on that branch. in that camera or other d4's any more . After I have finished code for 5d2 crop_rec then I may consider "crop_rec_4k_mlv_snd branch" but not before . and that's a big maybe . I don't think anyone is trying to minimize your efforts - I'm very excited by everything you've added to the 5d2, and I'd hate to see development stall! Could you explain the pros or cons between crop_rec_4k_mlv_snd /crop_rec_4k_5D2 in your opinion? When I added your crop_rec to crop_rec_4k_mlv_snd it was very stable and capable of all the same great stuff. My understanding is that crop_rec_4k_mlv_snd more closely resembles development on other cameras and thus will be easier to keep the 5d2 up to date moving forward? It would be a shame if all your hard work was the last act for this legendary camera. Don't worry about the branches, crop_rec code will change completely to the new method of it, maybe at 1st April for this year for both D4 and D5. This issue was still occurring for me on your latest test build - I'm assuming this code was included? This issue does not occur on reddeercity's Feb01 build. I still have a vertical offset problem in the code , it not applying cmos correctly so there's a white bar at the bottom . I'll work on it tomorrow , it's getting late . So everything is working at 2624x1200 @ 23.976fps , realtime canon preview when preview set to "Auto"
you can record raw video with HDMI connected . I quickly check that you can change shutter speed but didn't check ISO changes . It should work on top of the build I have posted on the first page of this thread . that should be fixed tomorrow hopefully , I just want to know if everything else works correctly . 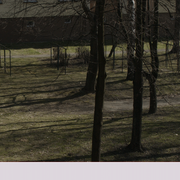 I will also be posting test crop_rec's for 48fps 3x3 & 1x3 anamorphic 4.9k @ 2.66 A.R. 23.976fps . Once all that is tested and confirmed working then I'll have it all together in one "crop_rec"
Everything seemed normal! - besides what you mentioned. There is a white bar (120 pixels) at the bottom of the image. On the right side is a 16 point wide black bar. The active area is 2608x1080 pixels. There are some other issues too so I should either back up to find where the problem started, start all over or wait for reddeercity to publish his code. Didn't know you could own a thread on this forum. How about being positive and seeing this as continuing the discussion on a topic that you started? Fair enough, this is an open source project and we're all volunteers. I only picked crop_rec_4k_mlv_snd because that seemed to be the right branch to eventually merge in your experimental work on the 5D2. Now will your work eventually get merged in to this branch or another branch or will it become a new branch on the main repository? Something to think about. The worst-case scenario is that it doesn't get into the main repository at all. I would agree that there are too many open branches but I'm confused. It seems are you proposing a new branch only for the 5D2. Wouldn't it be better to have the 5D2 working on the same branch as the other ML supported cameras? 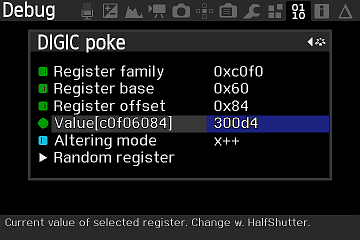 Note that the crop_rec_4k branch at first only worked properly with the 5D3. Eventually the EOSM then other Digic V cameras were working on it. Maybe I'm the pushing to get the other Digic IV cameras started a little too early. You know Magic Lantern is a work in progress and will probably never be "finished" -- right? As far as crop_rec_4k_mlv_snd and crop_rec_4k_mlv_lite_snd branches, those were started in order to get sound recording working with mlv_lite. At this point my understanding is that the Digic IV cameras are working better on mlv_rec. However, if we can get lossless compression working on Digic IV we will need to switch to the newer mlv_lite code. Not all that important, but I'm wondering if digital dolly works for any versions of crop_rec? I think it'd be pretty great to scan vertically to get something like a full-sensor scan for landscapes. It hasn't worked for any of these builds we've been testing. I noticed you can't move the preview window in 5x mode at all once digital dolly is enabled, wheras it does move without. Modifying digital dolly to cover the full sensor is possible, but non-trivial (Canon recalibrates the vertical noise correction factors with each video mode reconfiguration, including when shifting the scanned area in x5 zoom mode). By default, Canon code scans a non-centered wide area in x5 zoom mode (3584x1320 usable area on 5D3) and moves it around as you move the focus box - notice a slight pause at certain positions on the screen, when it reconfigures the sensor. - enable raw video and digital dolly - now it should cover the full width of the sensor. If useful, I'll consider adding a full-width 1080p preset to crop_rec (maybe it can be pushed to about 5784x1080 at 23.976 FPS, or it might require slightly lower horizontal resolution). Side note: the MLV spec also has metadata for 1-pixel increments for digital dolly, but would require special support from the MLV converter. Let me know of any problems . Seems to work ok at all bit depths in non-crop and 5x crop. No issues with sound enabled. I did try going to Canon 24p and it worked ok for a few shots and then I encountered issues with 5x preview mode being broken; on auto and on ML greyscale. A battery pull returned things to normal.Going in to 10x mode seems to trigger the same wonkiness no matter the Canon FPS, actually. FPS override does not work in 5x mode. Changing ISO's in 5x mode does work with the ISO button on the top of the camera. Changing the ISO in the ML menu with the joystick however, results in an infinite scroll where the ISO keeps increasing or decreasing depending on the direction you pushed. I believe this was also the case on crop_rec_4k_mlv_snd, but I will have to double check. Using the top scroll wheel in this menu does not cause this. Using any method to change iso while in 5x zoom mode creates a white bar on the bottom of the frames of some ISOs - exiting to menu and back fixes this. Results for which ISOs are effected seems to depend on your starting ISO. This is probably already known, but arrow/set shortcuts don't work in 5x mode. ML digital ISO seems to have no effect with or without Raw modules loaded. @dfort: One thing I'm noticing in your latest build magiclantern-crop_rec_4k_mlv_snd_experiments_waza57.2019Mar22.5D2212 is that there are 8 black pixels on the right side of the frame at 5x mode. Ok , thanks for testing . All this is known issue , ISO on 5d2 works best anyways set to manual as I only use that. I think I have a fix for changing ISO in ML Menu. That put you in 3x3 (FHD) Liveview should be ok now , press 5x zoom(3xcrop_mode) again to enable crop_rec and liveview should good now. Think of the 5d2 as a film camera , you have no auto functions everything is manually set . After all it is bleeding edge stuff . realtime liveview & HDMI support (at least at 480p) , which is useable now . So I can conclude this preset is working then , I'm now adding more presets to crop_rec . I also tested the new crop module - it works fine, the image is awesome. I was trying to see the picture via HDMI monitor for adjust the aspect ratio to see the borders of the image I shoot, but I couldn't... and all I see pink solid color with some kind of transparent image. I just was thinkin about crop factor reducing and thought that if we have money for buying sigma art 12-24 f4 or just Laowa 12mm f2.8 (which are zero distortion lenses) we can achieve 25mm in our crop module with 2.8 - 4 aperture, if we use sigma art 24mm 1.4 we get 50mm 1.4. Those lenses are costly, but have absolutely razor sharp and beautiful picture... So thanks Reddercity we have absolutely amazing 2624x1200 2:1 with full sensor bokeh style... Just wanna shoot cinema lol... The rest is to get a liveview (I would help you, Reddeer, but don't know how) and write a screenplay (also need to get some life experience for that, hehe...). @Igor_Braun: you won't get full sensor bokeh style. You'll get a cropped bokeh - same "problem" as using a crop camera, because the used sensor area is cropped. 5568/2426=2.29. So your f/1.4 used in this crop mode will get a bokeh like f/3.2 on the full sensor. There Two ways to explore the poke , manually setting valves in the Valve box and see the results . This done with the Altering mode box , you can see the "x++" this increase the valve and you can change that to "x--"
to decrease , still with me ? so if you need a new offset e.g. vertical of horizontal not sure how to do that other then coded it in crop_rec. You mainly need new offset's when you increase vertical resolution but not so much on horizontal . This is for the 5D2 , I would think it's very close to 7D . I know on the 50D everything is the same except the CMOS reg's where different . CMOS : 0x5 0x5 0x7 ??? CMOS : 0x244 0x244 0x244 ??? CMOS : 0x1 0x1 0xC05 ??? let take the 5x valve for example 0x46a04ba , take the first half 46a= vertical last half 4ba = horizontal . there control the vertical window in Liveview , so if you aren't increasing vertical res. then you don't really need to bother with it . but it does help with reducing liveview overhead for increasing fps . Still there ? I know there a lot to take in . reduce timer"a" too much . Ok--here we go. My version looks a little different but it has all the necessary fields. How do you manually set the values? The only way it seems to work over here is using the half shutter press. I tried changing the value of C0F06084 and for the most part all I get is a garbled screen. I thought that maybe I needed to "Apply" option but that doesn't apply the value in the field, it applies a different value - it always changes to 10002. ...you can see the "x++" this increase the valve and you can change that to "x--"
So far I only figured out how to increment the value, can't seem to find the button to decrement. Well, looks like this is going to be a bit more challenging. I'll check out that post from a1ex and see if anything sinks in. Thanks for the lesson--I'll see if I can get any further with it a little later.